The decade of the 1990s is emerging as a major period of transformation in modem history. The Cold War has ended peacefully, but other conflicts-in the Middle East, in Africa, in Latin America-are now replacing the threat of nuclear war. Even in Eastern Europe the transition away from communism may lead to revolutionary situations. In these unstable times, an understanding of revolutions and their causes is a necessity when those directly involved and active observers-journalists, businessmen, military and political authorities, advisers of governments-must act quickly, often with incomplete information and limited decision-making time.Revolutionary Strategy was written for these actors and observers. This handbook offers basic methodological material on how to analyze revolutionary situations and provides two representative case studies-Castro's successful revolution against Batista in Cuba and the Tupamaro's unsuccessful effort in Uruguay-which illustrate the application of the methodology. Both examples are analyzed individually and comparatively.Part One of the volume is a comprehensive examination of methodology. Betancourt begins by considering types of political contexts-totalitarian, authoritarian, democratic-and demonstrates how each controls the diffusion of information and the organization of dissent. He then establishes a framework for the analysis of revolutionary dynamics that allows the reader to evaluate the policies and actions of the two leaderships involved, those wishing to preserve the status quo and those wishing to overthrow itIn Part Two, the author's framework for analysis is applied to the Cuban and Uruguayan case studies. 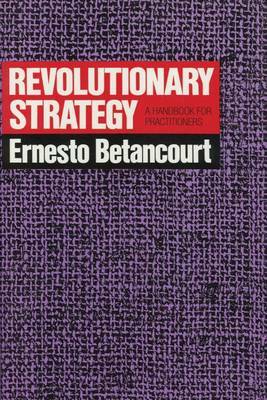 By fitting the variables into the criteria established in the first part, the author shows how to prepare a basic profile of the revolutionary situation in a country and explains why Cuba was overwhelmingly receptive to revolution while Uruguay was notThis work draws on the author's thirty years of experience as a participant in, and observer of, revolutionary situations. It addresses issues from the perspectives of many disciplines in order to enhance the reader's ability to understand and interpret the confusing and, at times, vertiginous events that occur during revolutionary periods. "[A] useful case study of the Cuban and Uruguayan revolutionary experiences. Of interest to upper-division undergraduate students of Third World revolution and Latin American studies."